As the global market moves steadily in the direction of increased productivity through integration of software into the world of testing services, Integrated Test & Measurement finds itself at the forefront of the field. 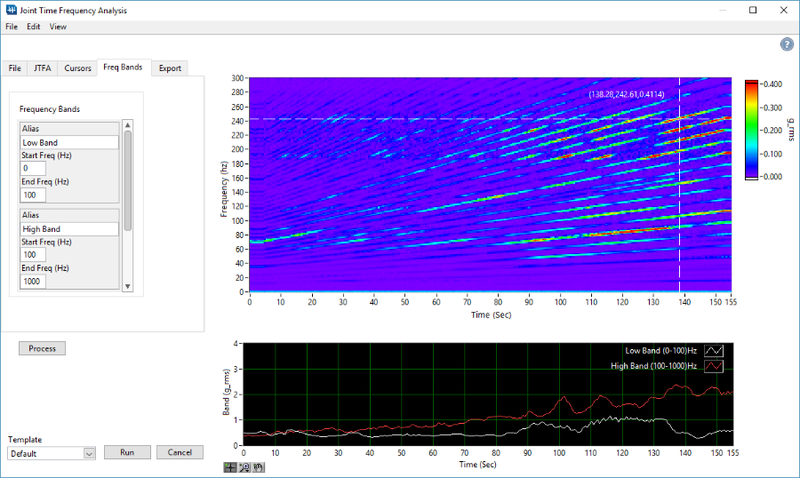 Our other LabVIEW developers and I have been hard at work creating custom applications to help customers meet their testing needs with more efficiency and cost-effectiveness than ever before. Since many of my co-workers come from both test engineering and software development backgrounds, it’s easier for us to scope, build, and deploy these custom testing applications while working hand-in-hand with on-site operators and field engineers, or even sending our own engineers on-site to test the applications. Past projects I’ve gotten to work on have ranged from a small data collection and viewing application that allows a customer to perform materials testing and quickly generate reports; to larger systems like a power quality application which utilizes our iTestSystem platform and allows the customer to collect and perform real time power-quality analysis on large genset engines, view and quickly confirm results, and create multiple types of reports for both internal and external customers. 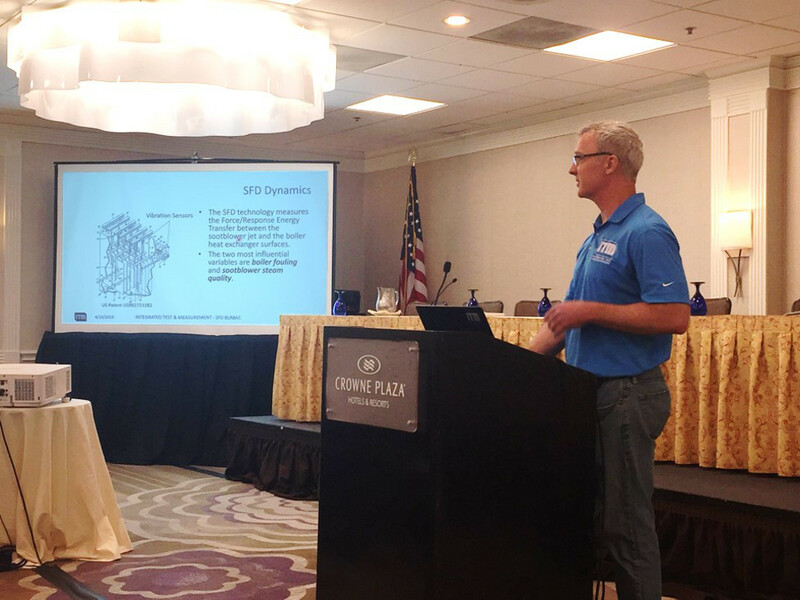 Thanks to ITM’s iTestSystem platform, we have been able to leverage our pre-existing data acquisition, data viewing, and application distribution tools to create and distribute these applications both faster and at lower price points than many of our customers expected. Having this base platform allows me to create and test solutions quickly and to make revisions with ease. As a LabVIEW developer on Team ITM, I have enjoyed the unique challenges presented in these applications and look forward to seeing how ITM continues to lead the field in this market. 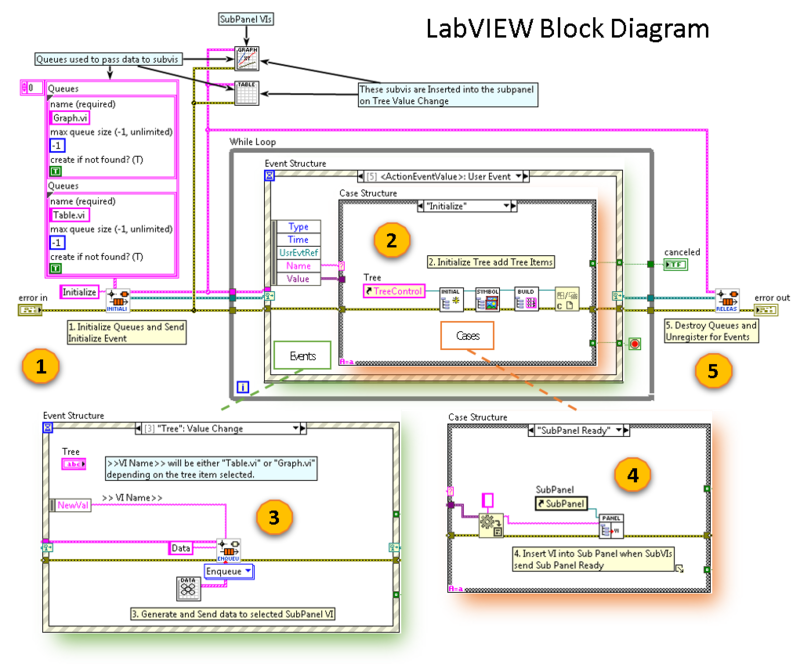 When we develop LabVIEW™ applications for our customers, a common request is for a simple, resizable and intuitive user interface (UI) for data visualization. In these cases, we use a tree control and a subpanel. This type of UI functions like a tab control that automatically resizes. The main benefit of using a subpanel is to make your code more modular. Figure 1: Modern User Interface with a Tree and Sub Panel. To illustrate the modularity that this type of UI creates, I made an example LabVIEW™ project. 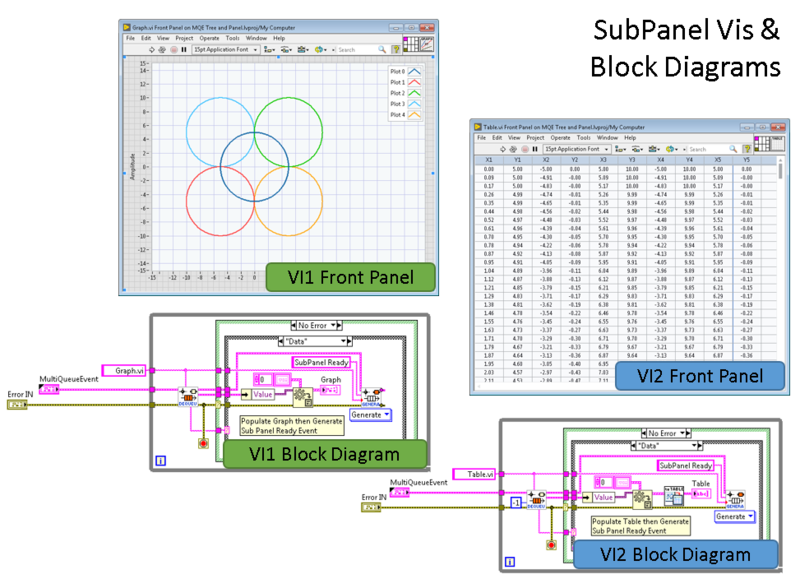 The main VI shown above uses a tree control to switch between a VI containing a graph and a VI containing a table. I used our multi-queue event architecture for VI information communication messaging. The image below shows the main VI’s significant functions. The main VI’s functions are listed below. Initialize queues and events and then generate initialize event. Initialize tree and add tree items. When a user selects an item in the tree, generate data and then send it to the subpanel VI. Receive SubPanel Ready event from a subpanel VI and then insert the VI into the subpanel. Destroy queues and unregister for events. 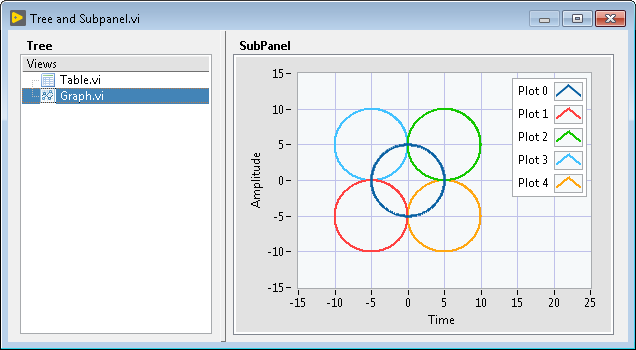 In this example the subpanel VIs are very simple. 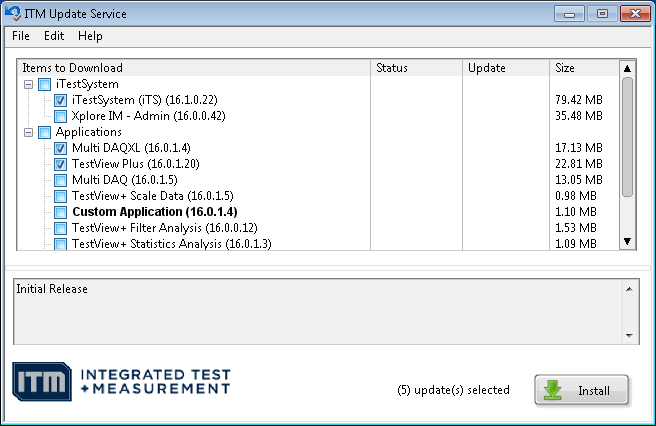 They populate an indicator (table or graph) and then generate a SubPanel Ready Event. The two (2) subpanel VIs and block diagrams are shown below. 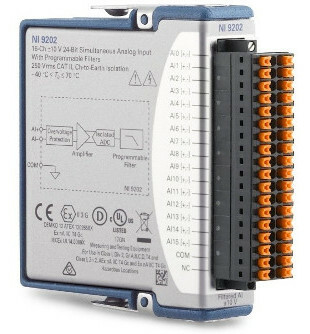 The tool we most commonly use for real-time embedded process monitoring and control applications is the NI CompactRIO. 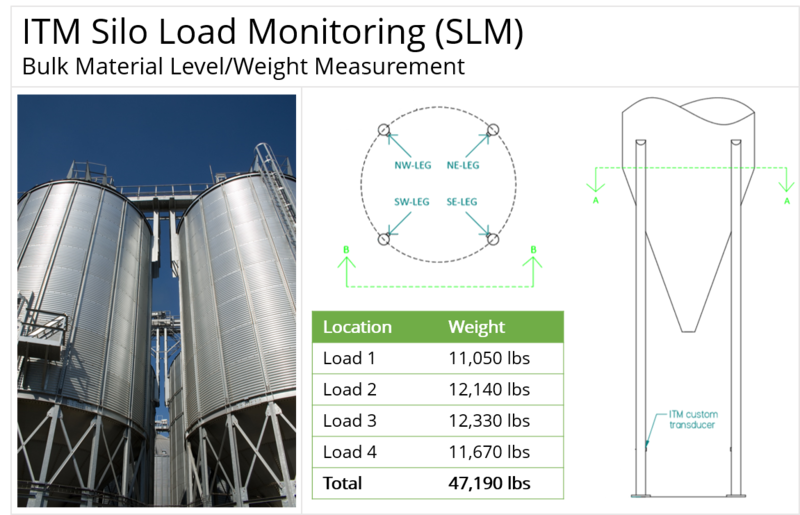 These controllers allow us to embed algorithms that acquire and analyze high speed process sensor data and then output derived key performance indicators (KPIs) to other control systems. Most of the time, our customers also require us to send the KPIs to a real-time data infrastructure like OSIsoft’s PI System so plant managers and engineers can use the data to find energy savings, monitor asset health, or optimize processes. For our latest CompactRIO systems we have developed APIs that allow us to send or receive data directly to/from PI. 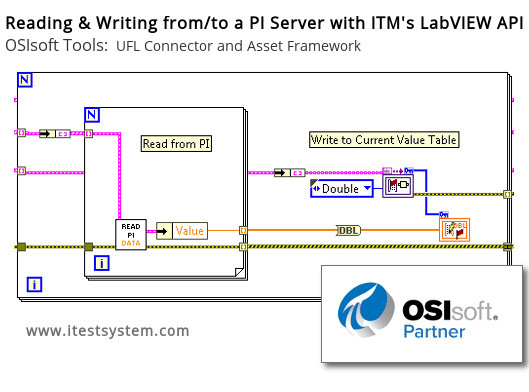 We utilize the PI Asset Framework and the UFL Connector to automatically generate PI tags from the device and update the process tag values either on value change or on a time basis. These tools greatly simplify our CompactRIO to PI System communication process by eliminating intermediary data servers and automatically generating PI tags based on a CompactRIO system’s configuration. If you are interested in using these APIs for PI or developing a CompactRIO system contact Mark Yeager or Chase Petzinger.